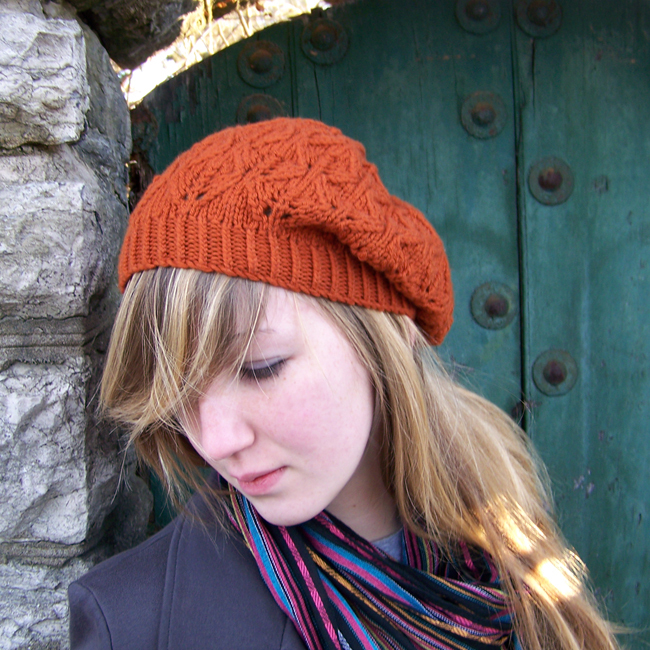 The Falling Leaves beret/slouch hat knitting pattern evokes the essence of the season for which it was named with a border of leaves swirling one into another around its perimeter. This lovely leaf pattern is a modification of Barbara Walker’s timeless ‘Fern Lace’ pattern. Additional details include a twisted rib brim and a twelve-point star raised decrease on the crown reminiscent of a dahlia in bloom. 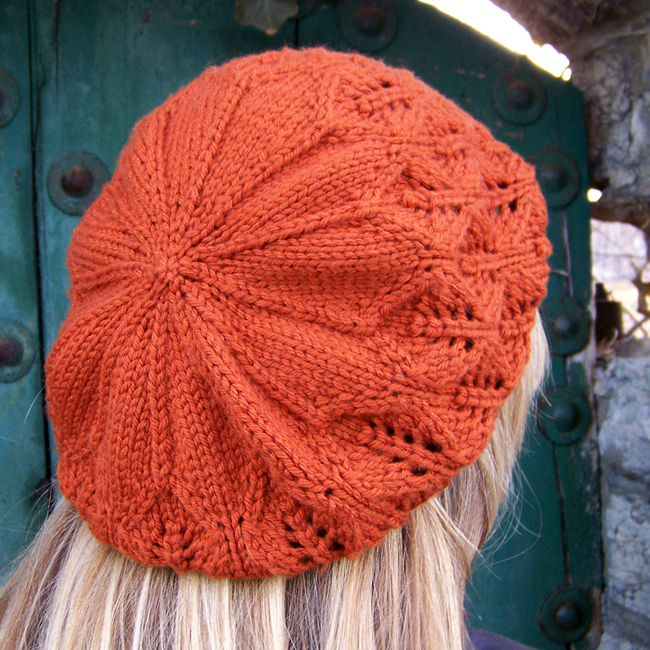 The Falling Leaves Beret is suited to most any worsted weight yarn and makes a great one skein project, using approximately 175 yards (160 m) of yarn. Of course, if your color selection happens to be of the autumnal variety, all the better! Our sample was knit with Knit Picks Swish Worsted in the Allspice colorway, most akin to a burnt orange. This pattern is charted but also includes complete written instructions so the ability to read a chart is not necessary in order to work this pattern. Full pattern details for the Falling Leaves Beret can be found here.